We pride ourselves on having the most well educated and dedicated coaches in Polk County! Our clients come from a diverse set of backgrounds with a multitude of needs. We strive to create a staff that reflects these needs. Whether you are looking for injury rehab, strength and endurance gains, or something in between; our coaches can guide you there! Becca’s personal journey has been greatly linked to sports and fitness. As an adult, she realizes the greatest things in life come from hard work, perseverance, and courage. It is this belief in the tenacious spirit and a love for movement that drives her program design and the design of Haka Fitness. Danae is a current student at Florida Southern college. She is pursuing a degree in exercise science, with the intent of eventually becoming a physical therapist. Danae's personal fitness journey began shortly upon arrival to college. The freshman 15 became the freshman 20 and her mission to lose weight transformed into her passion for helping others achieve their health and fitness goals. Jake has been an athlete since he was old enough to throw a ball and it's this lifelong passion that has fueled his desire to bring out the inner athlete in all his clients. No matter your age or ability level, strength, endurance, and the ability to move your body through space are the lost fundamental elements of life, Jake keeps this in mind in all of his classes so that everyone can grow into the best version of themselves. Gretchen is a wife, mother of two, and a yoga teacher, among other things. She is always searching for ways to move better and be better. Yoga and movement are a mode of expression as Gretchen embraces life's many challenges. Longevity in movement is the ultimate goal. Always a student, Gretchen is constantly seeking ways to help clients move and feel better by improving her own coaching. "Movement tells the story of your life. As we open up areas that are 'stuck', we open ourselves to discover anew. It's true with your body... and it's true with your heart." Mark has been interested in sports and fitness for his entire life. His approach to movement has evolved over the years into a deliberate and purposeful style. 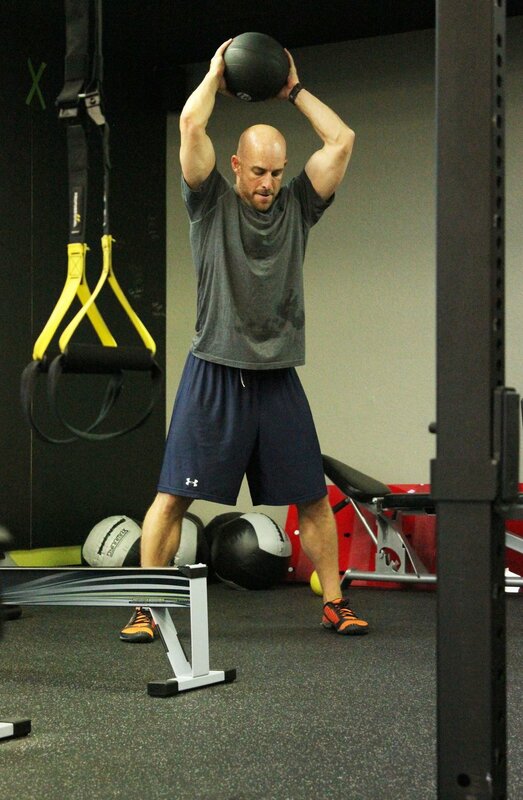 With an eye for quality movement, Mark specializes in aging populations and those who value a slower approach.